Nottingham Rugby’s work within the community is integral to the club’s identity. Offering a range of activities from rugby camps to attendance at public events, the Green and Whites endeavour to get young people involved in the sport. Our national award-winning Community Coaches are committed to delivering programmes of the highest quality that help grow rugby across the county. Whether it’s part of the curriculum or an extracurricular activity, the club offers a broad range of bespoke packages to suit a variety of needs and abilities. The community department also delivers programmes with Bilborough College and Nottingham Trent University. The team focuses on developing effective partnerships within the community, forging links with local authorities, schools, sports clubs, local businesses, charities and other like-minded organisations that in turn help to fund our work. Play rugby the Nottingham way. 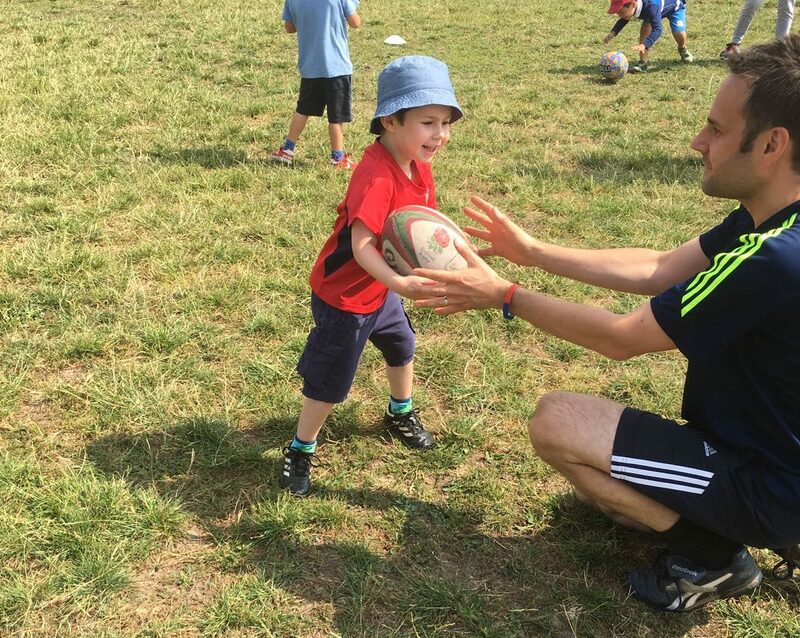 Our incredibly successful rugby camps are renowned across the county for their professional yet personable approach. Run by professional coaches and attended by NRFC players, the camps teach children from 5-11 the fundamentals of rugby in a warm and welcoming environment. Held at Lady Bay and various clubs across Nottinghamshire, we have the capacity to bring the Green N White way to your local team. Click here for more information about our latest camp. Nottingham Rugby runs its own Academy aimed at educating and developing local players through the provision of high quality coaching – delivered by professional players and local coaches. The academy has provided opportunities for players to play against Premiership opponents across the Midlands and England, whilst offering a direct route into professional rugby and education with Nottingham College and Nottingham Trent University. The Academy has approximately 40 players who are aged 16-20 years of age. The Academy trains once a week and plays approximately ten games per season. Players are encouraged to continue to play for their home Club / School / University throughout the season whilst also aiming for representative honours at CB (NLD, Staffs, Leics U18 / 20’s) and hopefully to progress to Midlands and England / International level. Over the past three years thirty eight players have represented the Midlands at U18 & 20 level, with seven playing for England, three for England Students and one for Ireland at U20 level. 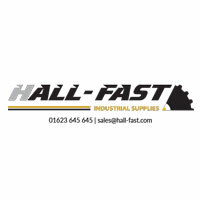 Nottingham Rugby has worked with Hall-Fast Industrial Supplies Ltd for eight years, delivering a high quality curricular and extra curricular programme in North Nottinghamshire. The project has seen coaching delivered to over 20,000 young people, across over 50 schools. The programme also sees the community team coach on a weekly basis at The Fountaindale SEN School in North Notts, providing physical activity to children and young people with physical, medical and sensory needs from across the region. Our national award-winning Little Ruggers programme has been rolled out to several local clubs and communities in Nottinghamshire. Over the past three years, over 1,000 young people aged between 2-5 years have been introduced to fun rugby related activities, creating sustainable structures within local clubs and communities. This unique programme sees parents with their children taking part in activities. Several rugby clubs in Nottinghamshire now run weekly sustainable sessions including Bingham Rugby Club, Paviors Rugby Club and Nottingham Corsairs Rugby Club. For more information please contact 0115 9070070. 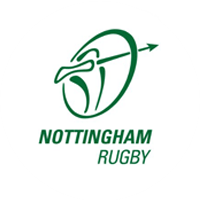 Nottingham Rugby runs a series of CPD sessions for local coaches, utilising professional coaches and players to provide support to the local rugby community. The next CPD session will run on Tuesday 2nd October from 7.00pm – 9.00pm at The Bay, Nottingham Rugby, NG2 5AA. Our Masterclasses have enabled players to gain specific training from our professional players in key areas of the game, for example front row clinics, kicking clinics and handling clinics. These sessions run for players currently in U12 – U16 age groups throughout the season. Sessions cost just £7.50 per sessions and will be announced soon for season 2018-19. They can be booked by clicking the link for each session. Why not organise and run a MasterClass at your club – contact steve.smith@nottinghamrugby.co.uk for more information. Nottingham Rugby currently delivers a wide variety of school engagement programmes – from tag rugby and contact rugby to competitions, multi skills activities and after school clubs. The club also runs a programme called P.R.I.D.E. with secondary school pupils, aiming to raise their aspirations within educational achievement and sport. This unique programme includes coaching from professional players currently contracted at Nottingham Rugby Club. The club currently delivers a programme of Little Ruggers and tag rugby within Rushcliffe, reaching thousands of pupils. Nottingham Rugby currently works with schools and communities throughout Nottinghamshire and Nottingham City to deliver rugby and physical activity – engaging with and introducing large numbers of young people to the game. The club operates in partnership with The Asian Sports Foundation delivering programmes in Nottingham City, whilst also working with several rugby clubs and schools in deprived areas of Nottinghamshire. Nottingham Rugby also delivers programmes specifically to girls and women in what is one of the countries fastest growing sports. The club currently works in The Fountaindale School on a weekly basis providing physical activity and rugby activities to children with physical disabilities. Nottingham Rugby prides itself on providing high quality Match Day Experiences for young players. We will develop the most appropriate experience for your players from 5 – 18 years of age which can include; pre match coaching from professional players, mascots / flag bearers, team photo at half time on the pitch and meet the players post match. Our Match Day Experiences cost just £10.00 per person which includes a match ticket and a programme. Why not add a Nottingham Rugby T-Shirt to your package at a cost of just £8.00 per person. Adult tickets as part of the experience cost just £10.00 per person and additional sibling tickets £1.00. 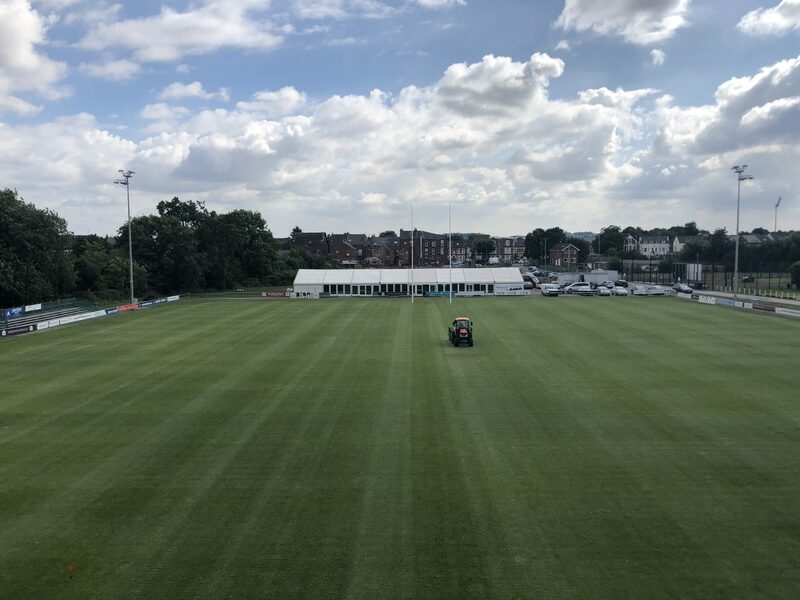 Match Day Experiences sell quickly so to avoid disappointment please contact steve.smith@nottinghamrugby.co.uk / 07809 705418 for more information.